No injuries were reported, and damage was contained to the building, according to the Banks Fire District. 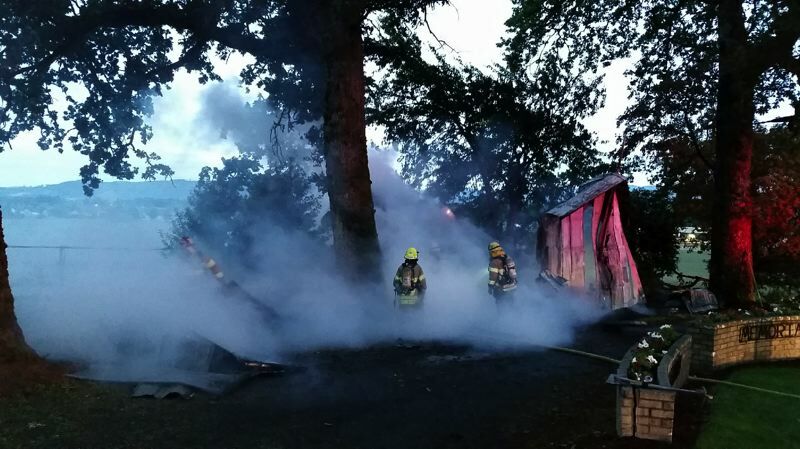 Fire crews in the Banks area were able to contain a fire at a disused outbuilding at the Union Point Cemetery Thursday morning, June 7, according to a Banks Fire District spokesman. Mitch Ward told the News-Times that Banks Fire crews were called to the scene off of Northwest Banks Road at 4:51 a.m. Thursday. 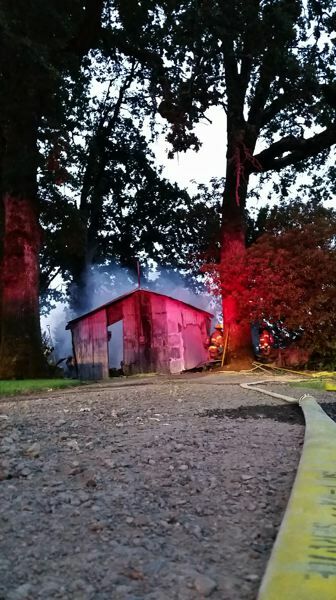 Tualatin Valley Fire & Rescue crews based out of North Plains also attended the blaze. "According to the neighbor living next door, the building has not been used for cemetery maintenance in years and was locked," Ward reported. 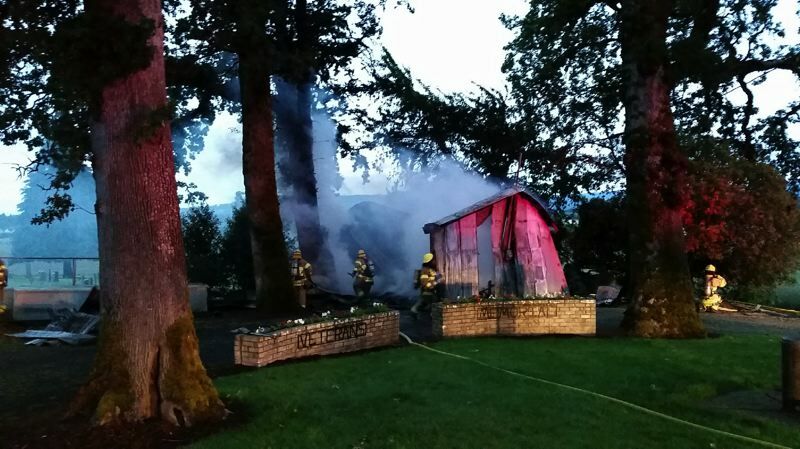 Ward described the outbuilding fire as "fully involved" by the time crews arrived on scene. The building appears to be a total loss, he said, but there was no other damage at the cemetery — including to the veterans memorial just feet from the building that burned. The outbuilding is about 15 feet by 30 feet in size, according to Ward. No injuries were reported. The cause of the fire remains under investigation, Ward said.